The all new BMW M3 and M4 Coupe performance cars are now available in India and priced at Rs.1.20 crore and Rs.1.22 crore respectively. 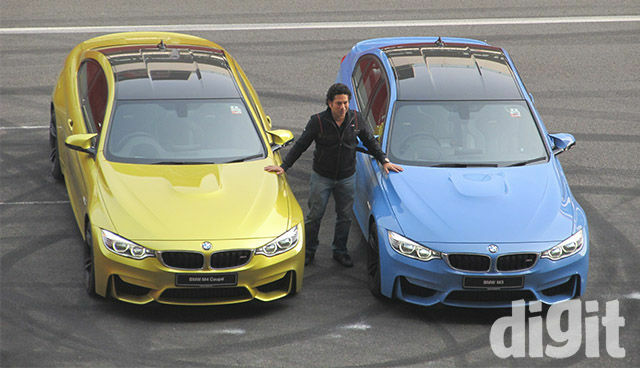 BMW has garnered a lot of fan following over the years for its M-series performance cars around the world and this time the veteran car manufacturer has unveiled its new twins - the M3 sedan and the M4 Coupé from their performance series in India. 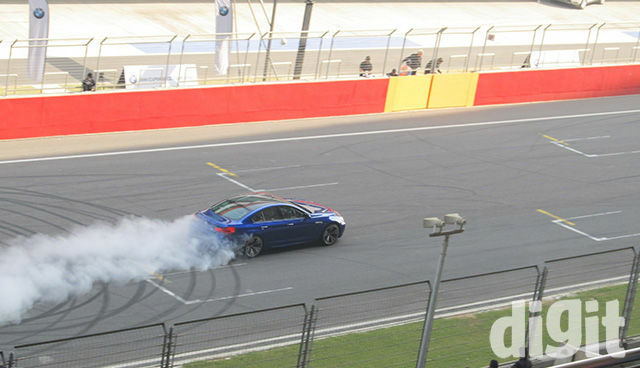 And what better place to launch sports series cars than the Buddh International Circuit in Greater Noida. The unveiling took place at the hands of legendary sports icon Mr. Sachin Tendulkar while professional drivers did impressive stunts using the M-series cars around the circuit in the background. The launch flagged off the immediate availability of the M3 sedan and the M4 Coupé at BMW dealerships all across the country as CBU (Completely Built-Up) units. The new M3 and the M4 Coupé stay true to their lineage as they follow the similar design philosophy as seen with their predecessors like the presence of the dual front grill and sleek body design elements. 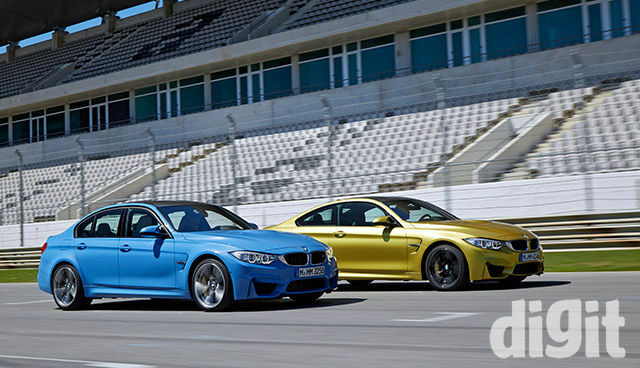 The only thing that has changed is that previously, BMW offered the M3 in sedan, Coupé and convertible options but this time, the new M3 sedan replaces the old one while the new M4 will be offered in Coupé and convertible variants. Although the M3 and the M4 Coupé look almost identical, the major difference between the two is that the M3 is a 4-door vehicle and weighs 23Kgs more than the M4 Coupé which is a 2-door car. 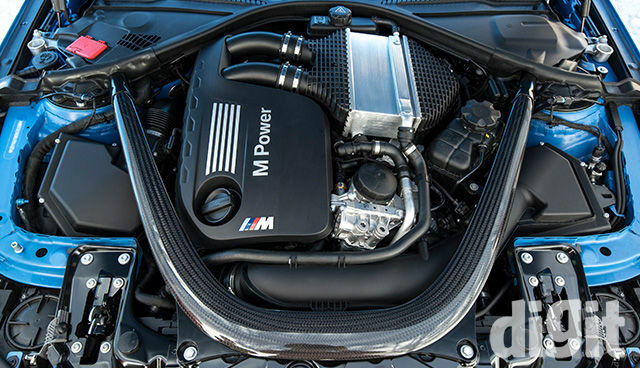 The engine has also seen an upgrade as both the M3 and M4 Coupé come with a newly developed and much more fuel efficient 3.0 litre twin turbocharged in-line 6-cylinder petrol engine. With a total output of 317 kW or 431 hp and a peak torque of 550Nm available from 1,850RPM to 5,500RPM, the new M engine is capable of developing a lot of power and you can accelerate from 0 to 100 km/h in merely 4.1 seconds with a top speed being a blazing 250 km/h. A 7-speed M dual-clutch system handles the transmission which has BMWs Drivelogic technology built into it that makes gear shifting extremely quick without losing out on traction. The presence of shift paddles on the steering wheel allow for better switching control. In a bid to lower the overall weight of the new M3 and M4 Coupé, BMW has made the roof of both the cars using carbon fibre completely and this M carbon roof as BMW calls it, is responsible for giving the cars a more lower-slung look while reducing overall weight and also lowering the center of gravity. Other tweaks to reduce weight like using aluminium for various body and inside components have led them to save over 80 Kg of weight as compared to the previous models. Apart from the sporty exterior, both the M3 and M4 Coupé follow a classy interior design with BMW M series design elements seen everywhere like the entry sills, foot-rest, gearshift lever, dials and seats. The seats for example derive their design from the sports bucket seats used in motor racing. 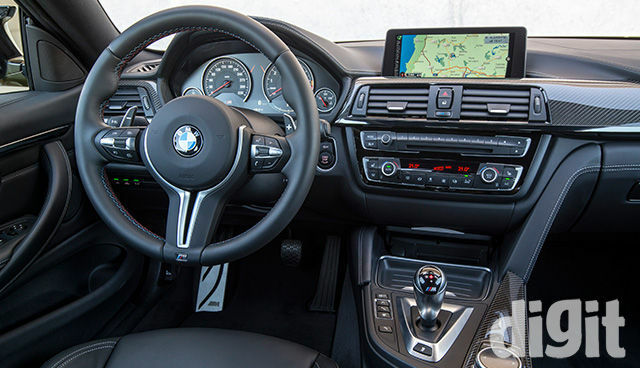 You also get a wealth of technology features with the M3 and the M4 Coupé which include BMW iDrive (the onboard Driver Information System) with touch controller, BMW Navigation Professional (integrated Global Positioning System – GPS) with 22.35 cm colour display with 3D maps, full-colour BMW Head-Up Display, Connectivity through Bluetooth and USB devices and BMW Apps. Park Distance Control (PDC) rear and front along with rear view camera come as standard. Safety systems like ABS, Airbags, DSC (Dynamic Stability Control) are available as a standard default setup in both the cars. 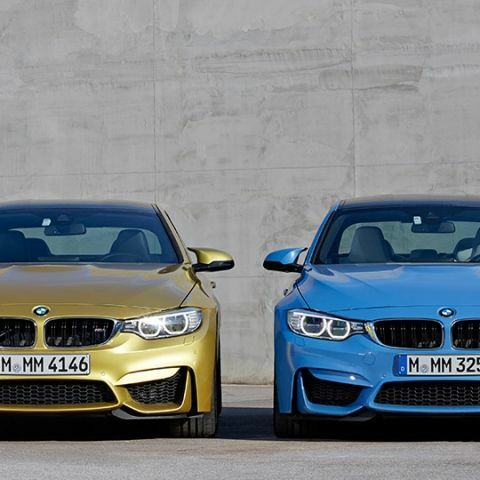 You can check out the complete in-depth specifications sheet for the BMW M3 and the M4 Coupé here.